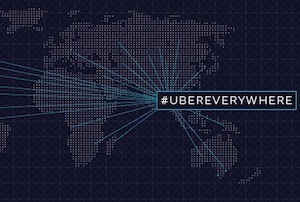 The company said yesterday that it was investigating Uber New York general manager Josh Mohrer for using an internal tool with the rather sinister name of ‘God View’ to track Johana Buiyan as she rode in an Uber to an interview with him, according to Buzzfeed. Two months ago he had emailed her logs of her Uber trips without her permission, to make a point about questions she had asked about its competitor Lyft. Former venture capitalist Peter Sims also wrote in a blogpost in September that his location had been pulled up on a screen for the launch of Uber Chicago without his permission two years ago (something he was texted by a partygoer as he rode in the car). Drivers, who are employed as contractors, don’t have access to the omniscient tool, which shows Uber car locations and customers who have requested one. Two former employees told Buzzfeed it was easy for staff to access; one said he had never seen it being used without authorisation, while the other refused to answer the question. It isn’t too hard to imagine a spurned lover following their ex’s movements, though. ‘The only exception to this policy is for a limited set of legitimate business purposes,’ it said, citing solving rider and driver problems, facilitating driver payments, monitoring accounts for fraud and troubleshooting tech issues. Both Emil Michael, the exec who suggested investigating journalists’ families and private lives and was roundly condemned by Uber’s founder and CEO Travis Kalanick, and Mohrer are still in their jobs. Indeed, Mohrer was anything but contrite in a now-deleted tweet. 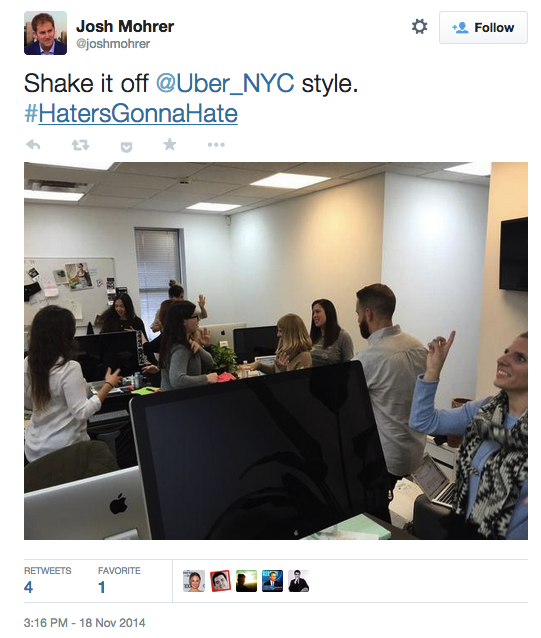 #HatersGonnaHate, but haters aren’t going to ride in an Uber.